Well, I’m starting to get excited about pairs. There has been some interesting things happening over the summer and I think the new season could be a dramatic one. I don’t understand when people say that they think it’s going to be a boring season. It’s the first season of a new quad. Do you remember the first season of the last quad? 2014-15 was a season of dramatic turn arounds. That’s the season we saw Javi, Liza, Papadakis/Cizeron and Duhamel/Radford win the World Championships, each for the first time and all after disappointments the previous year before. Who would have predicted those results? And it was a season of big developments. We saw a girl doing a triple Axel; a dance team went from 13th to 1st; a pair came out doing throw quads; and, this talented guy from a tiny federation made it to the top for the first, but not the last, time. And then three of them went on to medal at the Olympics. There is stuff at stake this season. We may have lost some big names through retirement and splits (which in itself is pretty dramatic) but there are still many very talented teams. Also, developing teams for whom this season could turn out to be very important; teams who will be jockeying for position, both internally and externally; teams trying to make a name for themselves and build a reputation (the right kind); teams trying to move up the ranks and reach for the podium. I, for one, think it will be very interesting. So, this post is a kind of status update – who is out there and what to watch for this season. Every team has a goal. Every team has a story. Every team has something to prove. And with the events of last season, as well as changes during the off season – to partnerships, national teams and coaching situations – there are some interesting twists in those stories. Let’s start in Russia where the state of things has been effected by (1) the retirement of the Astakhova half of Astakhova and Rogonov and (2) the split or retirement or something (??? ), but definite disappearance from the Grand Prix of Stolbova and Klimov, taking out two of the top four senior teams. It seems like they will be the unchallenged number one team in Russia but after an up and down season last year, they will want to come out strong, looking like an experienced, mature senior team. A lot of their internal competition will be coming from younger teams moving up from Juniors (there aren’t many senior teams at all really), so they will want to differentiate themselves. Also, it won’t hurt after their universally derided free program last year to make sure they have programs that do do this – make them look mature and sophisticated. They’ve go a new coach too – from Mozer to Maxim Trankov, although apparently Robin is still around – who will probably want to put a bit of a stamp on their style and show that the team is going in a new direction, so I’m expecting a bit of a new look. I don’t know how much personality and charisma can be injected but at least they try to get the packaging right. These guys had a good season this past year, steadily building and moving up to 4th at Worlds. While their team mates Tarasova/Morozov have moved on to a new coach, Zabaijako/Enbert have stuck with their same coaching situation (Mozer et al.) despite Mozer taking time off, away from coaching, and as a result making it not quite the same situation after all. It does make them the top team in the group at the moment, however, a group which has dominated pairs for the past number of years in Russia. Maybe a little mark boost will be in store? Or maybe Mozer is out of favour? It could go either way. But there is a lot of new talent that will be pushing these guys and their real challenge will be to stay ahead. What can they improve? Can they do more? How can they be a more distinct and exciting team? They need to find a way to set themselves apart. I think they could really be lovely but I want them to be lovely as well as not boring. Efimova and Korovin have such an opportunity. I am sort of obsessed with this team lately. They have had, to my mind, quite an interesting path of development because of their age difference. They have competed three season as Seniors; they never competed in Junior. They had to learn and develop, come together as a team, all the while as a Senior team. (For Alisa, it was her first partnership ever and she switched countries, from Finland to Russia, in order to do pairs). 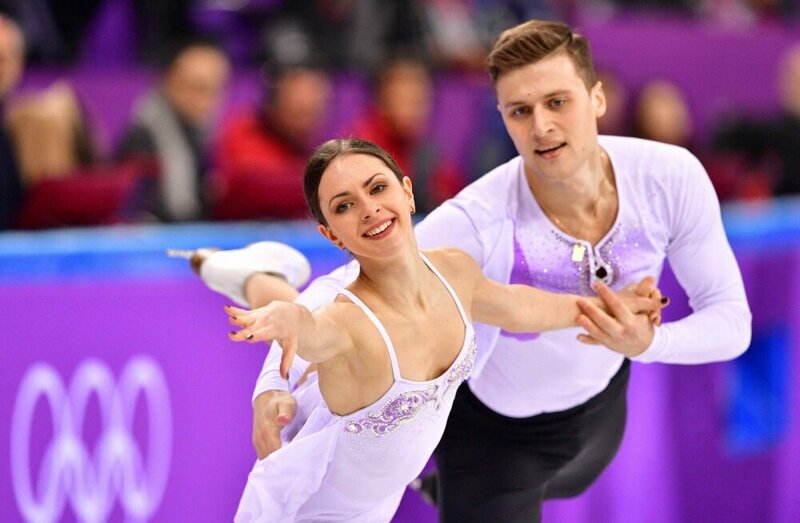 They didn’t have the opportunity to come out in Senior fully fledged like most Russian pairs teams, with several years of competitive experience behind them. So, it hasn’t been easy and there has been difficulties. Alisa has struggled with her jumps the past couple seasons, although she looks now to be getting them back (at least at the end of last season) and they don’t have the same level of jump difficulty as other teams. (Just wait until you see the next two.) Alexander sometimes struggles with the lifts, slowing, looking laboured and often completely winded at the end of a program. (More run throughs? He is so pale. I’m a bit worried he might be anemic. Not really. Kidding. Sort of.) But, there are a lot of pluses. They seem to be a committed team. When things weren’t looking great, they made a coaching change, switching from Pavlova to Moskvina, which I think was a smart move. And, despite the lack of big results or a breakthrough, they have stuck it out together. Neither has gone looking for a new partner. And there is more. Their throws have good height and distance and they have a terrific twist, high and easy. They’ve even worked on a quad twist in the past. (Maybe still? Who knows what we’ll see!) They also both perform and she, she is just a star! I just have to watch her. I think Korovin has to know that this is a girl he better hold on to. Anyway, now that I’ve done my best to sell them, this is all just to say that now would be a great time for them to have a breakout season. They have potential and there is room to move up. They’ve got two GP assignments and I want them to come out strong and make an impression – a good one! I really hope they do! Alexander is sporting the best hair he has had in three years, so I think it’s a good sign. The reason Russian Senior teams need to keep pushing forward and improving is these guys (and others) but mostly because of these guys. Boikova and Kozlovskii have everything that’s needed to be a top team and they are moving on up to Senior this season. They are the perfect example of a Junior team who can take the time to develop their skills as Juniors and come out onto the Senior scene fully fledged. Last year, you could tell they were using the season to prepare for Seniors and improve their content. In fact, last year was a bit of struggle. They didn’t even make the World Junior team after having been second in the world the previous year. But this was because they were focusing on making some big improvements, with the future in mind, not results. They made the choice. I think it paid off. This is what they came out with a Nationals. Let’s see: good twist – check (they are another team that has put some time in working on a quad); lovely throws – check; difficult side by side jumps – check (they’re doing loops and triple-triples! ); good speed and flow over the ice – check; stage/ice presence – check; more mature programs – check. It wasn’t all perfect but the foundation was certainly there and you can only imagine they have continued to improved since then. They are also a team I really enjoy watching. I think they are certainly going to make it interesting for their competition, both nationally and internationally. This is another team moving up from Juniors. They are YOUNG but they are making the move, probably because there is more room in Senior now then Junior but also probably because now they’ve been-there-done-that after having won Junior Worlds last year. They might as well move up at the beginning of the quad and get adjusted and start building a reputation. I find them delightful. They have a lot of personality. Daria is a dynamo and Denis is the musical one, which is an interesting combination. They have strong basics and I fully expect them to continue to grow and develop. When I discussed the Russian Junior pairs here, I hoped they wouldn’t rush things, with them being young, but this jump may not be as big as it seems. They were at the Junior test skates although they have two Senior Grand Prix assignments. So, maybe this will be a year when they straddle the divisions and Russia is keeping the option open of sending them to World Juniors again? That might be a good idea, depending on what happens in the fall. I think they are a special team but anything could happen. They could make a splash or be a hot mess but I still think they are going to win some fans whatever happens. (I think it might be a splash. Take a look at their Russian Nationals performance and make your own prediction.) I intend to enjoy them whatever they do. I may adopt them as my babies. They are so winsome! We really have no idea about this team at this point or even if they are going to really be a team; that is, last long enough to compete and be seen by the public. But, Ustimkina and Rogonov have publicly announced they are working together (in this interesting and slightly awkward little video), so I think we just have to wait and see what happens. Alexei is clearly determined to continue competing. He may still feel like he has a lot to prove too, having been just on the cusp but always the substitute in Russia for the past four years. Alina has competitive experience but she’s never skated in Senior, so it’s very much the veteran and the new girl with these guys. I do like Alina. She’s seems quite an elegant and mature skater, even though she’s still in her teens, so I think the match might work. I know some people seem worried about their height difference or lack thereof but I think it’s going to work and I think they could be an exciting team. Where they play into the whole Russian pair scene, I really have no idea at all. I expect we won’t get much of a look until Russian Nationals. They aren’t used to coming first in the list of China’s pair teams but this season, at least for the first half, they are they main show! With Sui/Han and Yu/Zhang both out of the Grand Prix while both ladies recover from foot injuries, the job of representing China pretty much falls on Peng and Jin’s shoulders. It is such a big opportunity! And this after it was suggested at the end of last season that they might be split up (again). So big reprieve (maybe those foot injuries are heaven sent) and big sigh of relief. I really like these guys – they are one of my favourite teams. They have some personality and are engaging performers! I hope they get a bit more attention from the judges. It was interesting that last year their PCs went down from their first season together. Perhaps because the pecking order among Chinese pairs wasn’t entirely clear or fixed in the judges’ minds in Peng and Jin’s first season but last season they were clearly relagated number three team position? There was also a bit of a sophmore slump as they attempted perhaps some more demanding programs and trickier content (triple salchows). They’ve certainly got the twist and throws and other content to compete at a high level. I would like to see him a bit stronger on the lifts. But really, I just want to say to them take this opportunity and run. Run as far as you can! It would be awesome if they made the Grand Prix Final. I’m going to be in Vancouver and I would love to see them. We won’t being seeing these guys until later in the season is the news we’ve been hearing. Maybe we’ll see a repeat of 2017 Worlds? I am a bit worried about all her foot issues though. It seems to suggest to me perhaps a over-training or over-use issue or perhaps an issue with diet, such as lack of nutrition or low bone density, like we saw with Satoko. There must be a lot of pressure on her to maintain a strict weight with the lack of height difference between Sui and Han. Maybe they have to rethink how they do things? Mostly, though, I hope Sui can heal completely and not be plagued by these issues anymore. I would be okay with them missing the entire season if that is what it takes. We know they are aiming for Beijing 2022, so with longevity in mind maybe that’s the smart decision. With a team of this quality, I don’t think being out this season would prevent them from later medalling at the Olympics. While we’ve seen photos of Sui and Han training off ice, that’s not much news on what is going on with Yu and Zhang, no timeline for a return to the ice. We know at minimum that they are out of the Grand Prix. Guess we’ll wait and see? I think for this team, if it is possible, it would be good to be back on the ice later this season. They were building momentum last season before the injury started to interfere. It would be nice if they were able to continue to do that without too much of a pause. Again, guess we’ll wait and see. Where are you? What is going on? Please come back. I feel like this pair is MIA and we may never see them again. I was so happy to see the little video clips of Misha Ge working on choreography with them. At least we know they are still skating! But, they aren’t listed as part of the Chinese National team and it doesn’t seem like we are going to see them any time soon (at least in international competition.) There is so much to like in their skating – their easy twist, throws and lifts (I think Wang is better at lifts then Jin); their great projection, musicality and connection. I love watching them; she especially is lovely. Remember this? And this? (Great side by side spins, by the way.) What do we need to do to get them back? Sign a petition? If I was China I would be sending out all my pairs teams to compete as much as possible, to get as much experience and exposure as possible, and because, with all these injuries, you never know who you will have still on the ice when the next season rolls around. I think that’s a good suggestion. I originally had plans to do a review all in one but that clearly isn’t going to work. I have too much to say. So, I’ll stop there and leave this post for the pair powerhouse of Russia and China. I will continue with the North American and European pairs in other posts. Stay tuned!